Digital NK is a database of digital content related to the Democratic People's Republic of Korea. The archive indexes - among others - books, newspapers, magazines and visual media in all languages. All documents are freely accessible. Search options, in particular full text search, are currently unavailable but will be in the near future. The lack of data is a common trope of the discourse on North Korea. It would be wrong to assume, however, that the data just isn't there. 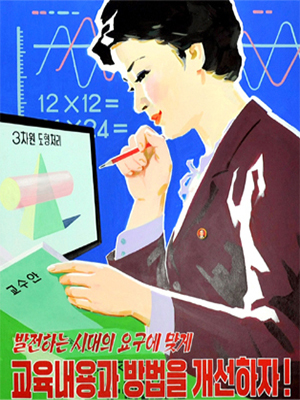 From the DPRK itself to the South Korean Unification Ministry and various university libraries or foreign intelligence services throughout Asia and the Western World, numerous states, institutions and private entities have collected vast amounts of analog and digital data but strictly restrict access to it. This project was born in order to overcome such barriers and offer a centralized digital repository of easily accessible and exploitable data. Over 1 terabyte of data, divided accross millions of individual documents, are currently in the process of being indexed. A small portion of the collection is already available for browsing. The collection mainly comes from scholars' personal archives and North Korean websites or software. All contributions and collaborations are welcome. Get in touch.